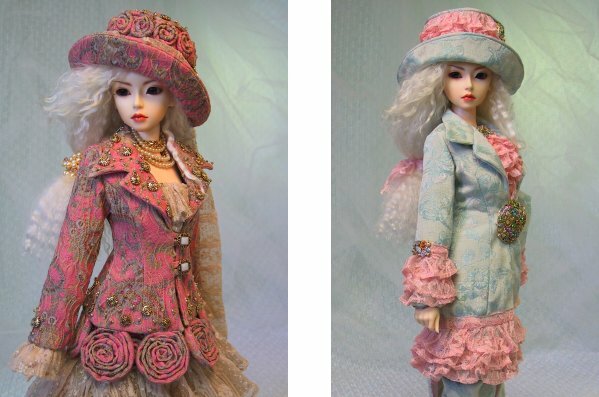 An Original Pattern for SD13 Sized Girls. This Blazer is the perfect item to complete any ensemble! It can be worn over jeans, skirts, dresses, or even a formal evening gown. 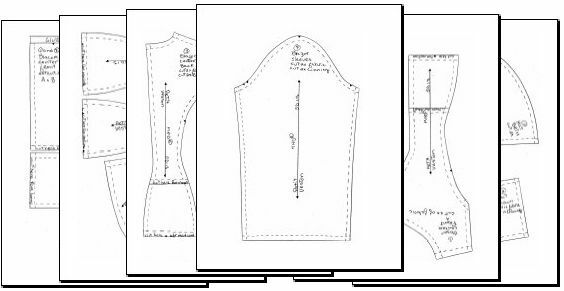 Although this pattern shows only three lengths, you can cut it any length you want. Simply add to the extensions for a longer blazer, or shorten them if you like. You can sew this blazer "as is", or use it as a base for a more elaborate "sculpture" by adding trims, textures, embroideries, etc. 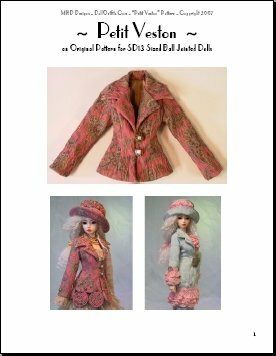 This pattern features 6 pages of pattern pieces! photos of every step of the sewing in progress! This pattern is available as a download for $13.50 or you can choose to purchase a pattern that is printed out and mailed to your home address for only $15.00 (postage is included for this 16 page pattern set).